The Comet Campaign is our school’s Annual Fund. The Comet Compaign raises money to help bridge the gap between tuition income and operating expenses. Tuition paid by parents combined with Diocesan funded tuition assistance covers about 85% of our operating expenses each year. The rest comes from grants, donations, and fundraisers. The Comet Campaign and our family of supporters play a vital role in the success of Saint Benedict Catholic School and her Comets (students). Please help our school become the best it can be, so that our school shines bright and our Comets shine ever brighter for the amazing plans God has in store for them! To make a commitment to the Comet Campaign please proceed to Pledge or Donate Now. 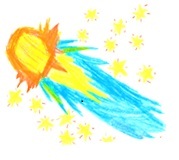 The Comet Campaign runs from July 1 to June 30 each year. Your tax-deductible donation can be made as a one-time gift or broken into monthly increments. Use the link below to the secure pledge form.